Q&A with DR.P – I’m having a problem in the Bedroom, should I get checked out? Sean, great question. There are a couple of reasons men have “bedroom issues” following treatment for testicular cancer whether its following their orchiectomy, chemotherapy or a retroperitoneal lymph node dissection. The first is an organic cause, hypogonadism, which is the medical term for low testosterone levels. While it is not common, some men, even with one good testicle left, can have low testosterone levels that can lead to low energy levels, libido (sexual desire) and occasionally erectile function, which can translate into poor “bedroom performance.” Technically, a fraction of one testicle should produce enough testosterone to give you a beard, erection and chase your partner around the bedroom. Occasionally, surgery, chemotherapy and even testicular cancer itself, can cause suboptimal testosterone levels. 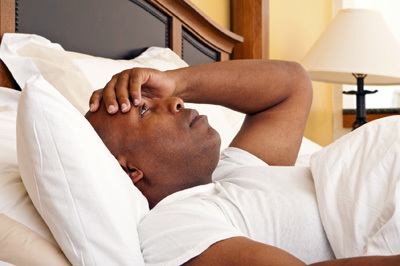 Checking an early morning testosterone level with your doctor (testosterone release is cyclic and highest in the early morning) can assess your hormone function. The second cause has to do with self-confidence. It takes a lot more than an erection to perform well in the bedroom. Comfort, confidence and self-assuredness can all help performance – and the lack of thereof can have negative impacts. Whatever your treatment course was, you are now missing a testicle, have at least one surgical scar and just went through the biggest scare of your life. For most young men, the diagnosis and treatment of testicular cancer is a strong blow to confidence and the sense of invincibility that most young men have. Surviving testicular cancer takes a lot more than just checking labs, CT scans and xrays – it also has to do with resolving the emotional and psychological issues surrounding the disease. 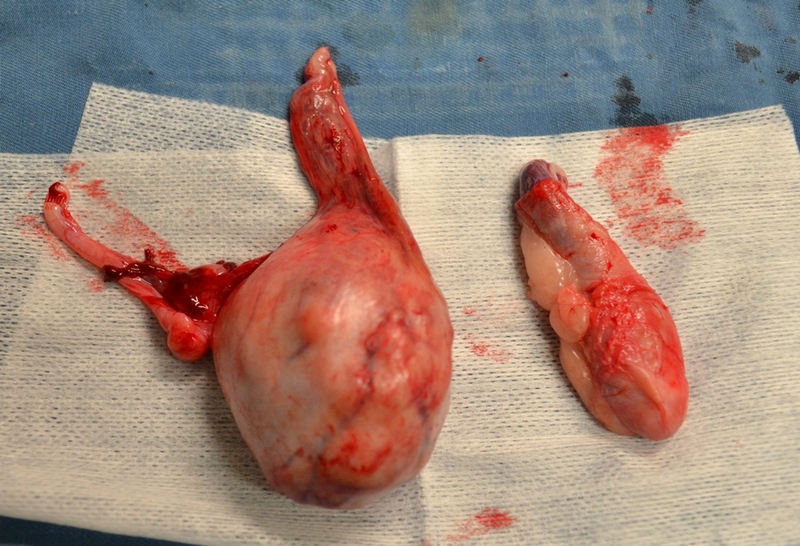 For some men, a testicular prosthesis helps them feel more normal. For others, a short course of anti-depressant medication under the supervision of a doctor may help. For some its a tattoo to commemorate their ordeal. In Baltimore, we have regular “Beers, Bros and Balls” events, where testicular cancer survivors can meet, share their stories, common problems and solutions. So finding a group of TC survivors in your area may also help you “recover” from this life-changing diagnosis. So my advice: First, check a testosterone level. If its abnormal its an easy fix. If its normal it may give you the confidence to “perform well” in the bedroom. Second, I would also connect with a testicular cancer expert and survivors (whether through social media or in person) – it will let you know you are not alone and help you through these issues. A physician can help you navigate the medical side of this and other survivors can help you navigate the rest. Good luck, you will be back to your studly self soon! Q&A with Dr. P | Can pregnancy tests detect Testicular Cancer? ANSWER: Testicular cancer is one of the rare cancers that can secrete “tumor markers,” or molecules that can be detected in the blood. The three common tumor markers for testicular cancer are AFP (alpha-fetoprotein), HCG (human chorionic gonadotropin) and LDH (lactate dehydrogenase). You can learn more about each of these tumor markers at: http://urology.jhu.edu/testis/testis_cancer_markers.php. 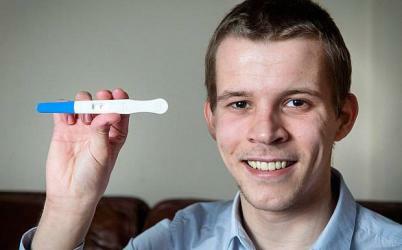 A recent story on the internet highlighted the story of a young man who was “diagnosed” with testicular cancer by using an over-the-counter pregnancy test. While I don’t know this patient, I’m sure his story is true – I’ve had a few patients in my practice who had a “positive” pregnancy test before coming to see me. However, this young man, Byron Geldard, had doctors in Cambridgeshire, Engand, puzzled when he presented with pain in his side and an uncertain malignancy that had spread around the body. (This story was reported in The Telegraph, March 9, 2015: Teenager Diagnosed With Testicular Cancer After Pregnancy Test). The doctors in Great Britain used a pregnancy test to confirm the diagnosis of testicular cancer in Byron – creating a sensational news story. • Only 15% of early-stage seminomas and 20-40% of NSGCT (non-seminomatous germ cell tumors) will secrete HCG. • Even in cases of advanced (metastatic spread to lymph nodes or other sites) testicular cancer, only about 50% of tumors (seminomas or NSGCT) will secrete HCG. In addition, HCG levels need to be relatively high to be detected by the over-the-counter urine tests. Some urine pregnancy tests will detect HCG levels of 20 mIU/mL, but most rely on levels >100 mIU/mL. Of the minority of testicular cancer patients whose tumors secrete HCG, many patients will have HCG levels beneath the detecting capability of a home pregnancy test. Therefore, HCG (and pregnancy tests) are an unreliable screening test for testicular cancer. If you feel an abnormality during testicular self-exam the first thing you NEED TO DO is contact a physician and make an appointment. If the doctor is concerned, an ultrasound (painless) and blood tests (mostly painless) are the next correct steps. If you’re curious while you wait, try a pregnancy test. If it’s positive then you know the diagnosis and find the nearest testicular cancer expert. If the pregnancy test is “negative” that does NOT necessarily mean that you do NOT have testicular cancer. Remember, upwards of 80% of testicular cancers will NOT secrete HCG so do not rely on a home pregnancy test to prove you are cancer free! Q&A with Dr. P | Should I get a second opinion? ANSWER: Thanks for the great question, Kyle. I think its very important to get a second opinion, and more importantly, to get a second opinion from someone who specializes in Testicular Cancer. First, I recommend all patients with a life-changing diagnosis to get a second opinion. If you had appendicitis or a pneumonia, most physicians can care for that without issue. Even if you like the first doctor you see, a second opinion is definitely warranted for a new cancer diagnosis. In fact, I recommend that most of my new patients to seek a second opinion to make sure they understand all of their options. Second, Testicular Cancer is a relatively rare disease and not all urologists, medical oncologists and primary care physicians understand the nuances of treatments and their side effects. Consider this: there are approximately 10,000 urologists in the country and an estimated 8,000 men diagnosed with TC each year. Therefore, on average, each urologist sees one TC patient per year. It’s not their fault, but you want to get an opinion from someone who sees a lot of TC patients. Ultimately, you may return to the first urologist (or physician) you saw – and there’s nothing wrong with that either, but you should certainly seek an “expert” opinion. Do you have a question you’d like to ask Dr. P? Submit your question here. Copyright © 2019 Thomas Canely. All Rights Reserved.